UVBI Therapy has been used for almost 70 years with positive results. 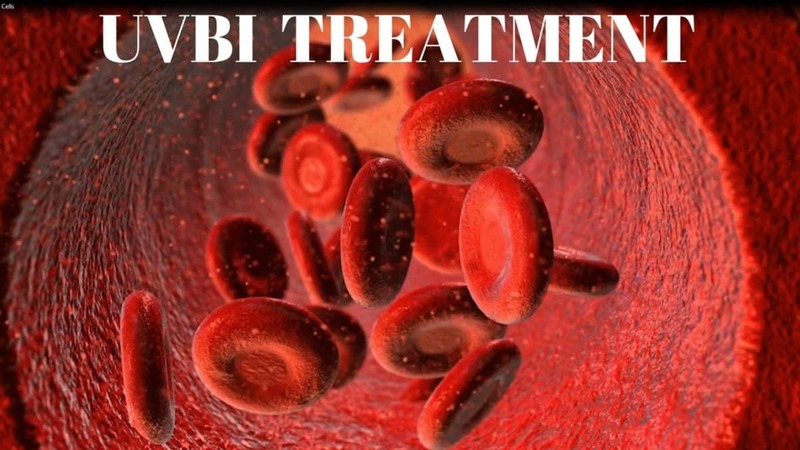 Ultraviolet Blood Irradiation or UVBI is a treatment method that involves light. In fact, light has been used in medicine for more than 100 years to treat various conditions. UVBI or UBI or UVB is considered a non-toxic, low-cost, drug-free, safe, and intravenous method of treating a host of blood-borne viruses and other conditions like cancer. UBI was first used in the 1940s and 50s to treat conditions like pneumonia. The success of the process resulted in extensively using the method to treat conditions such as asthma, tuberculosis, poliomyelitis, and arthritis. This article provides information on the benefits of Ultraviolet Blood Irradiation treatment. Rapidly detoxifying and relieving toxemia. In fact, UBI also helps the liver clear itself of excess fats. The method improves the immune functions of the body. UBI can stabilize the white blood cells if they are out of control. It increases the cell membrane permeability – which will enhance the body’s ability to produce antibodies. This is important to improve the immune functions of the body. UBI will increase the blood oxygen levels in the veins of patients with depressed blood oxygen values. UBI is very effective as an alternative cancer treatment. In fact, many healthcare providers have come to understand the effectiveness of this therapy as an alternative treatment for cancer. So, how does UBI therapy work? An individual will have his or her blood drawn, and ultraviolet light is applied to the blood. The blood is then put back in the patient’s body where it begins to purify the rest of the blood in the body. The UBI process will supercharge the blood and improve the immune functions of the individual in a very effective way. The treatment has effective anti-infection and anti-inflammatory effects which are very important when treating a condition such as cancer. In fact, it increases the immune functions and pain tolerance of the patient’s body. That is why UBI is quite effective as an alternative therapy for cancer. UBI is being used as a powerful part of an overall protocol when it comes to treating a cancer patient. A majority of cancer treatment centers around the country are employing this effective treatment in dealing with their cancer patients. UBI treatments have been used to treat many conditions, including cancer, since the 1940s and 50s. It enhances the body’s ability to produce antibodies – thereby allowing the patient’s immune system to fight cancer cells in the body. Hence, UBI is used as an alternative treatment method for cancer right now. We use UVBI as part of our cancer care program. Contact us today and we’ll explain to you how we can help you or a loved one in your journey to health restoration.